Easy all-weather outdoor lounge furniture. 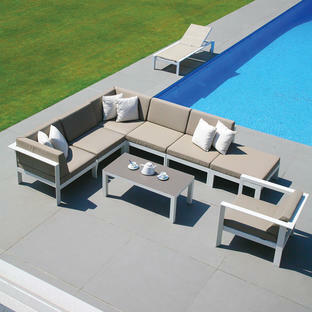 Modular outdoor lounge with contemporary styling. 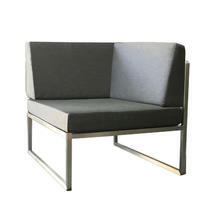 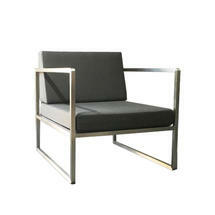 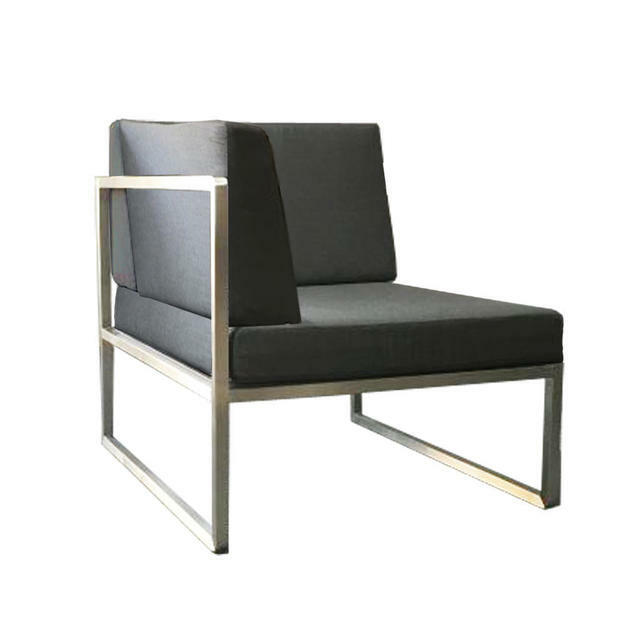 The Seattle deep seating is made with grade 304 brushed stainless steel. 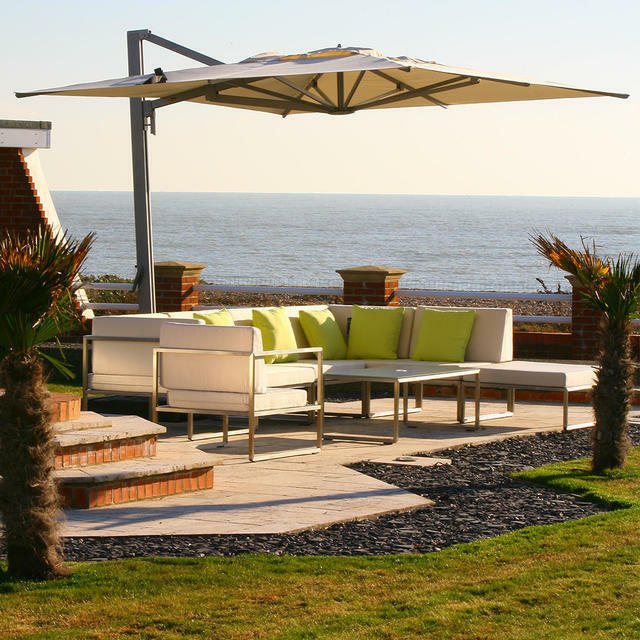 The seat cushions use quick drying foam and are covered with all weather Sunbrella fabric, allowing the furniture to be used all year round. Each module of seating is 86cm in depth allowing you to create your own personal configuration of modular seating. 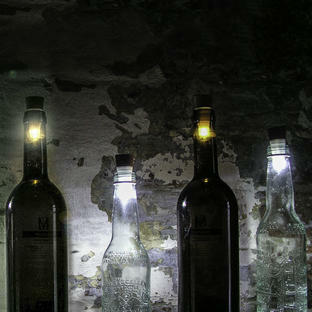 The furniture is designed to dry quickly with in an hour or so after a sharp shower. 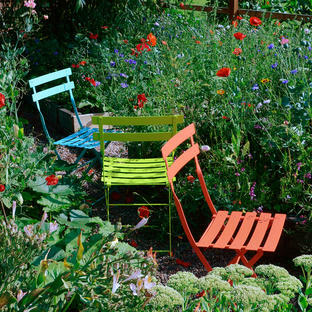 To speed up the drying process it may help to stand the cushion on their edge to allow them to drain quickly. 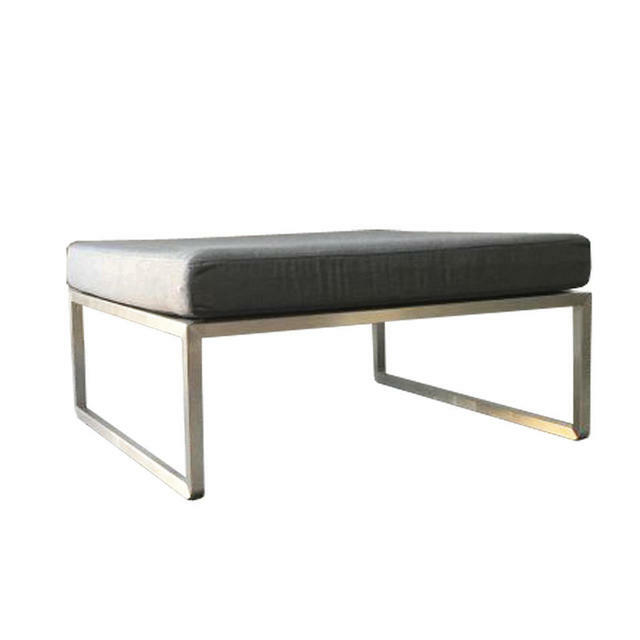 Side and occasional tables are available in the Seattle collection. 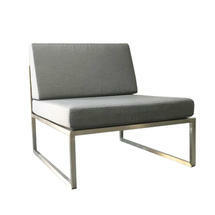 Also available in the Seattle collection is the Seattle Sunloungers and Dining Furniture.